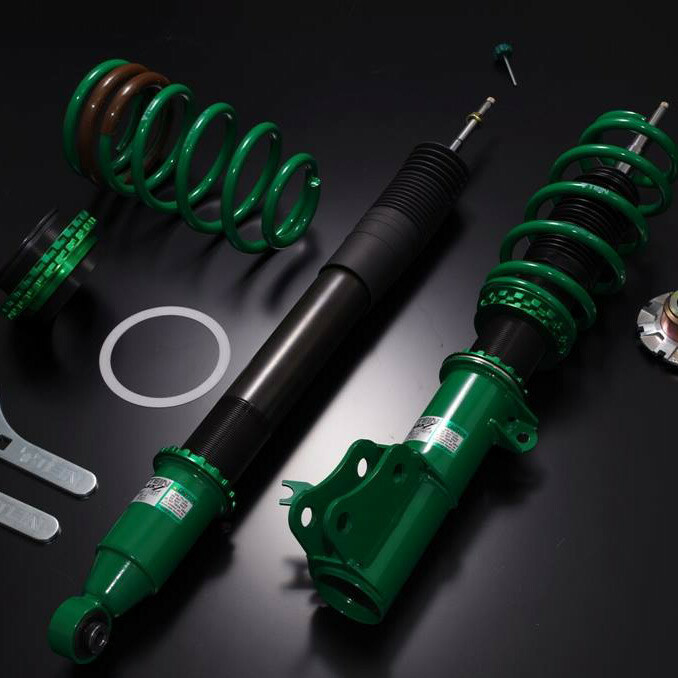 The Tein Flex Z is a coilover suspension for those who want to have a perfect ride height (without any sacrifice on ride quality) on their NC MX-5 and also be able to adjust damping. It’s a high quality part made in Japan with high quality standards. SHIPS STRAIGHT FROM JAPAN, MINIMAL WAIT TIME Tein Flex Z Adjustable Suspension should be ordered at REV9 Autosport https://rev9autosport.com/tein-flex-z-adjustable-suspension.html as they provide the best service and speed we've seen so far! Hey, I totaled my 08 MX5 and I had these coilovers on it. I'm thinking of buying an 2016 MX5 and wanted to know if I could transfer them to that car? Thanks! They are totally different suspensions and will not work with each other application, unfortunately.